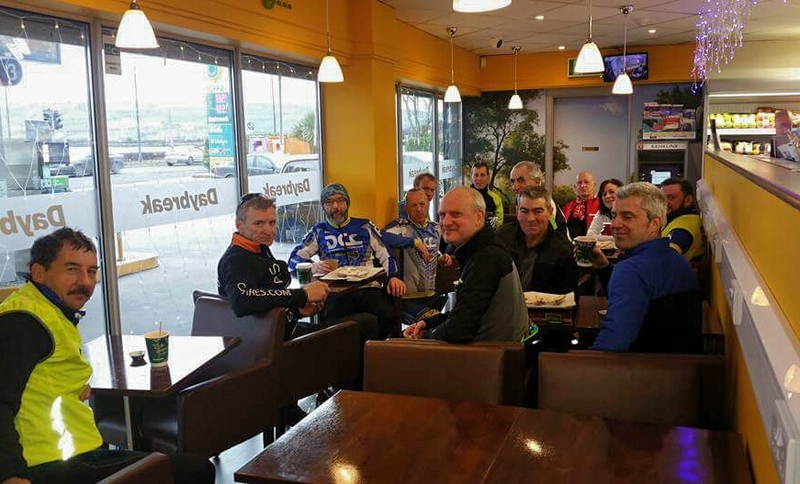 Traditionally, Dungarvan Cycling Club has supported the Lion’s Club at Christmas, and so it came to pass that Ray McAndrew and his club members arrived to bid us safe journey this morning. 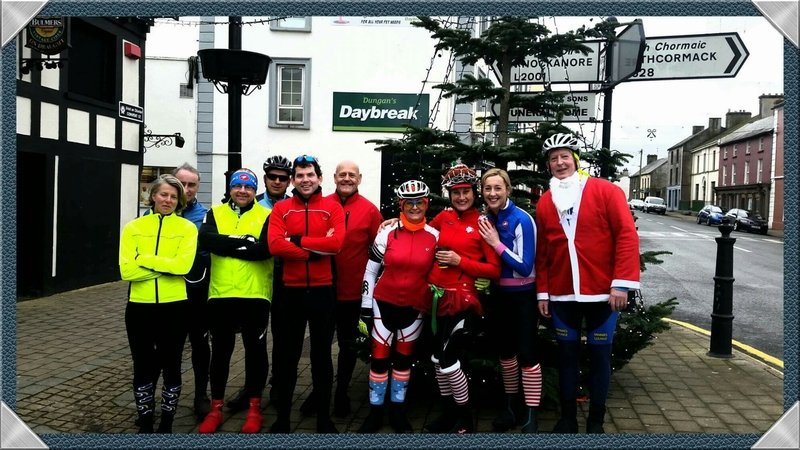 We had emptied our pockets in order to be as light as possible for our spins, knowing that our donations to this very worthy cause would be put with so many other donations from the people of Dungarvan and West Waterford for disbursement over Christmas. 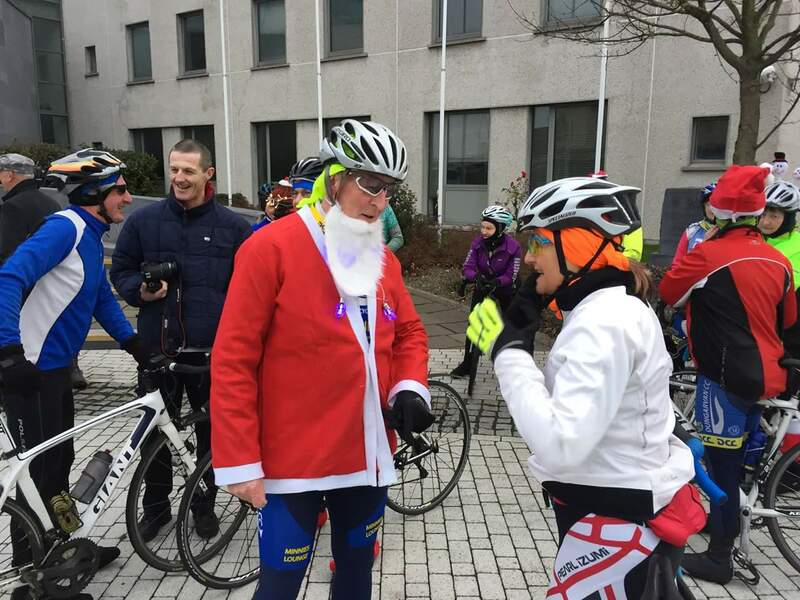 As arranged, some arrived at the Civic Offices bedecked for the Santa Ride. Noticeable it was too, that the lower the group number, the greater the effort! I suppose it’s understandable really because faster-flying cyclists cannot be hindered by unnecessary attachments, whereas the slower-paced among us actually benefit from baggage because it helps to keep the pace slow. Here, I quote the acccount of the club PRO, Pat. 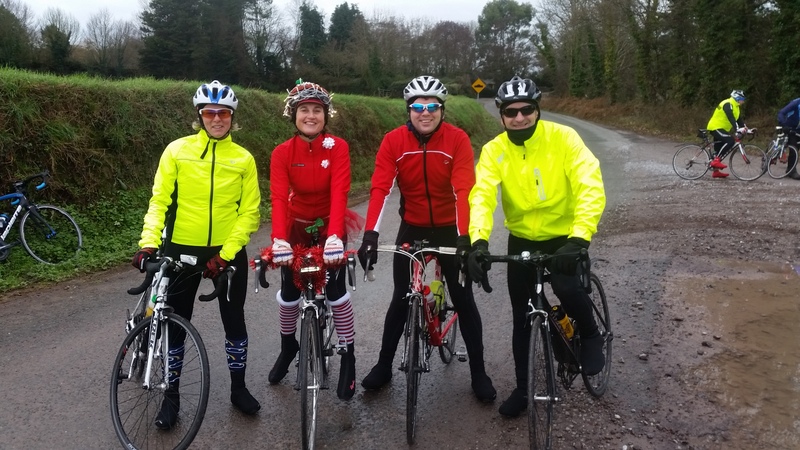 A great turnout of over 70 cyclists turned up across all the groups with many cyclists and bikes decked out in festive attire. 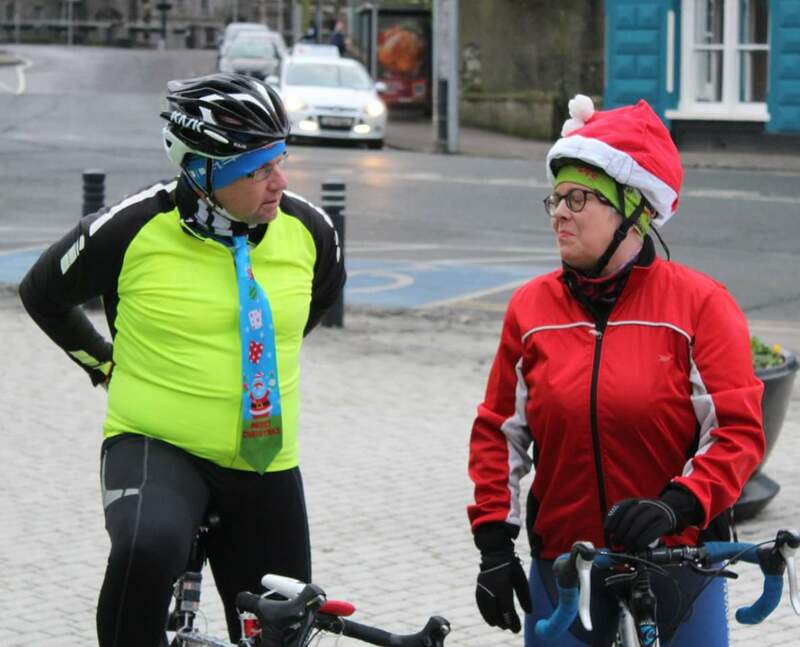 Special mention must be given to our secretary Rose on her effort complete with working fairy lights, to Padraig who put great effort into his Santa outfit and Gearoid for his tie! Following the mandatory coffee (at the coffee-stop), and photograph this week at the tree, on they sped rapidly towards Camphire Bridge. A teacher of mine once insisted that this phrase should be included in every essay. In fact the full version was: “On they sped rapidly, up hill and down dale”. We did indeed have some hills and dales, yet they were not as much of a hindrance as the mucky road surface back to the banks of the Blackwater. 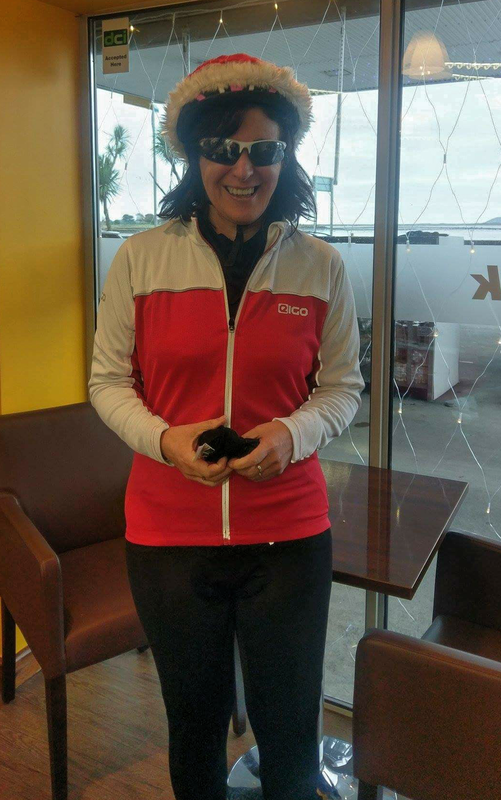 From Cappoquin to Dungarvan the pace was kept very steady because we knew our cyclists would have a really busy week ahead. There was a brief agreed skirmish from Richmond House to Affane, with no prizes on offer. Had there been even a small prize, it might have been contested more vigorously. Would ya look at then two Yorkshire terriers half-wheeling! A bad attitude is like a flat tyre. You can’t get anywhere unless you change it. Room for improvement: The group might consider attending an online foundation writing course, as our reliably talented group reporter was unavailable on the day, and the short straw finally fell to Burkie, aka Burkes Biking. Group 4 downhill policy: riding ahead of the group by breaking ranks in order to race downhill is not advised, simply because it may tempt less capable bike-handlers. We do advise cycling at a faster pace (obviously on downhill) while widening the gap between bikes.